Paul Jensen Associates is a company that specialise exclusively in the area of construction and engineering contracts, construction disputes and claims, construction arbitration and construction adjudication. The Managing Director and Principal of Paul Jensen Associates is Paul Jensen FRICS FCIArb Barrister, Chartered Arbitrator and Adjudicator. 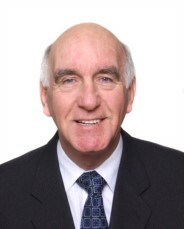 Paul Jensen is a well known and experienced Chartered Quantity Surveyor Construction Arbitrator and Adjudicator with over 30 years' experience dealing with construction disputes and contracts. Paul Jensen has extensive experience sitting as Arbitrator including international appointments and acting as advocate in Arbitrations. Paul Jensen Associates are based in the North-West of England and conveniently located near to all major motorway links including the M6, M62 and M56. The offices are located approximately 1 mile from Junction 24 of the M6 (Haydock Park) in Ashton in Makerfield. Paul Jensen also has considerable experience in lecturing and teaching on the subject of Construction Law, Construction Arbitration and Adjudication at both the Chartered Institute of Arbitrators and the Royal Institution of Chartered Surveyors.